Thanks! That worked. What I had was an EnderIO Item Conduit connecting to the chest, but that didn't seem to work. Yes conduits used to work in older versions but with the current API mess in 1.10.x they don't. This is something i'll address in the future, for now you can use chests, hoppers, barrels, etc. Hey, I was updating a friend's 1.9.4 pack to 1.10.2, and had a lot of trouble finding out generators.jar referred to this mod, advanced generators. Any chance you can add something more specific to the jar names? advancedgenerators, advanced-generators, even advgenerators would've been better. I'll consider it for the next minecraft version change. Swapping names now will lead to even more mess and confusion. 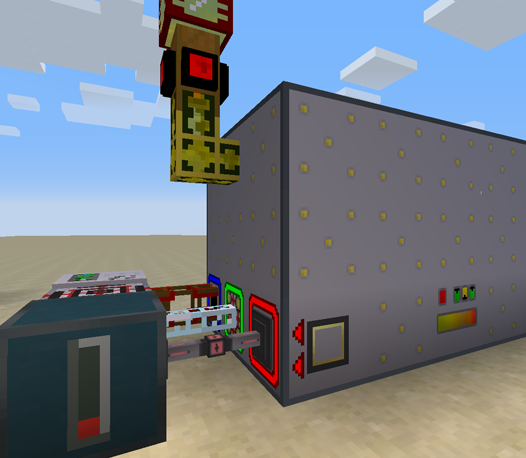 Does this mod support using Immersive Engineering Biodiesel as a fuel? If you take suggestions here: On machine UI that can tell you how much power you are generating. Also instead of a global .cfg option, each generator (or individual display attached to a generator) can be set to display a type of power. Could you make a book like a little tutorial for the Mod? Your bdlib is too old, if you are using the alpha builds of this mod you will also need the latest alpha builds of bdlib as well. I'm looking at this mod and trying to get a full understanding of what I can do with it. Could I hypothetically customize/configure it such that I could ingest IC2 superheated steam and output RF + Water at amounts of my choosing? Default configs don't support superheated steam (only normal, non-ic2 steam). Also the steam turbine currently does not output water back - this is on the todo list. It can produce both RF and EU from all kinds of liquid fuels and steam. It can also use IC2 coolant to make steam, so it can be used with liquid 5x5 reactors. Fantastic, thanks bdew. This is an absolutely brilliant idea for a mod. Its a bit of a double-post (I asked on your MCF.net thread) but what about non-default? I'm currently trying to add the config to allow superheated steam but I can't make it parse during startup. Will the (to-be-done) fluid output also be configurable? This would permit some very interesting applications for the mod if we could designate arbitrary output liquids. Currently you would be able to add ic2 steam as a "fuel" for the gas generator, it will produce RF and/or EU and you will not get anything back. In the future i'll add "recipes" for the steam generator, so you would be able to say saomething like "ic2 superheated steam produces X energy per mb and converts to Y mb of distilled water" etc. Note that the unit used internally is MJ which is by default 1 MJ = 10 RF. If you are still getting errors please provide the error and your config. Question - can this take in RF power and push it out as EU, and vice versa? If so, is there a way to set a ratio of the conversion? Also, as IC2 doesn't exist for 1.9.4 (right? ), any chance you'd allow Tech Reborn to also be able to use EU power from this mod? Super busy IRL at the moment, soon (tm).